Many Georgia residents enjoy boating when the weather is nice. However, any time you are on the water, there is a risk that you will be involved in a boating accident. Boating accidents are common on North Georgia’s waterways. Although most are minor and result in nothing more than a few bumps and bruises, others are completely devastating. Serious boat damage can occur, and boaters can be severely injured or even killed in a boating accident. 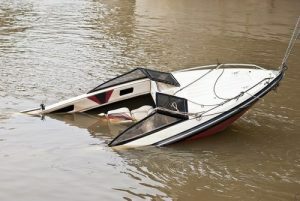 In many cases, there are multiple factors that contribute to a boating accident, such as operating a boat under the influence of alcohol while in dangerous weather conditions. Suffering a Boast Accident Injury is painful and stressful, we’re here to help you get to the next step. While getting immediate medical care if necessary is the most important thing you need to do following an accident, determining the cause of the accident and whether or not you have a case is also critical. We have a solid track record of success in boating accidents and will be able to apply our expertise and resources to your case. Our goal is to provide you and your family with the compassionate, yet aggressive, representation you need after a life-changing boating accident. If you have been injured in a boating accident in Georgia, you will need an experienced and qualified Boating Accident attorney to fight for your rights. Don’t delay — the success of the outcome in your case may depend on you being able to gather critical evidence immediately following the accident. Speak to a dedicated boat crash lawyer at Appalachian Injury Law now to discuss your case options and to learn more about how you may be entitled to compensation needed to recover from your injuries.